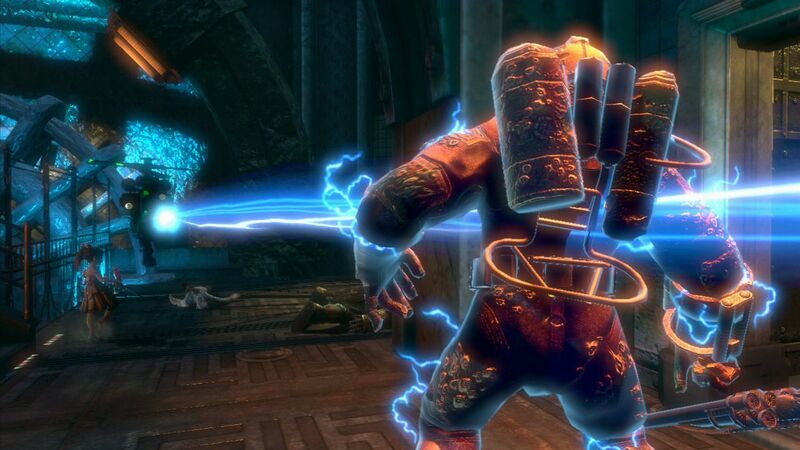 BioShock 2: Minerva's Den will be released for Xbox 360 and PS3 on August 31! 800 MS points, $9.99 on PSN. Below is a trailer we put together to herald the launch. I'm really happy with how it turned out, and I hope you'll find it intriguing as well. That Minerva's Den poster at the end is the handiwork of the immensely talented Karla Zimonja, my assistant director on the project, and Devin St. Clair, our lead artist. It sure would make a nice desktop image, wouldn't it? Well, sure! Alright! Look for Minerva's Den on your console of choice soon! Can't wait to hear what you think! It's officially announced! 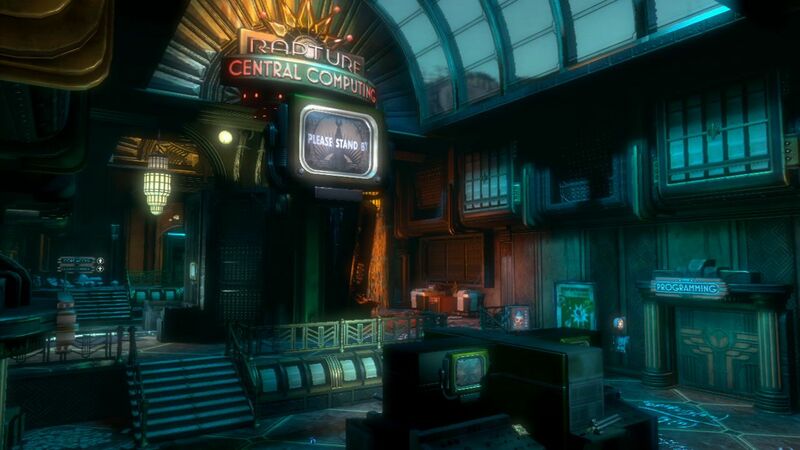 The upcoming story DLC for BioShock 2 is called Minerva's Den-- a new part of Rapture with its own story, featuring a cast of new characters plus a few familiar faces. I was writer and Lead Designer on the project (as well as designing the first level myself...) and while I can't say much more about it yet, I can say that I'm extremely proud of what our team accomplished. Lots of new stuff is packed in there for one DLC! 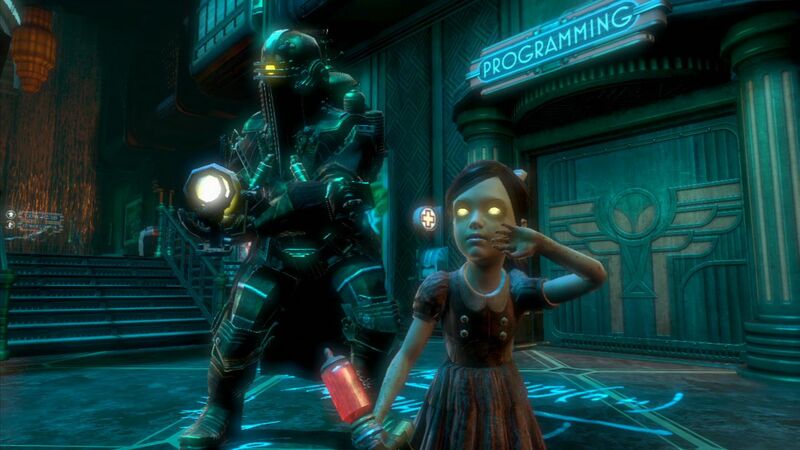 New levels, new story, new weapon, new Plasmid, new enemy and bot variants, even a new type of Big Daddy! It's funny: I guess this makes me some sort of specialist on expansion content. My first design job was on an expansion pack for FEAR, then I worked on a direct sequel, and now an expansion for that direct sequel. I look at it as a blessing, really: never underestimate the value of working on top of a stable base. Anyway, I'm really excited for people to start exploring Minerva's Den. It's a little project, but one with a lot of heart, I feel. Look for more info soon.